This was an informal get together to start the year on a fun note, so there was no speaker. 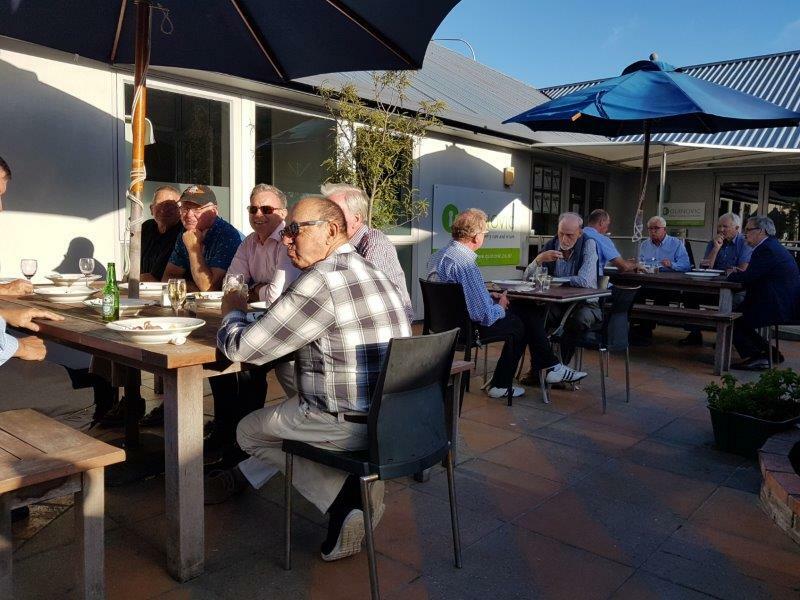 Club members gathered at Ruby's on Mana Esplanade and enjoyed good company, great food and wonderful weather. There was a happy buzz of conversation, interspersed with imperious comments from gathering seagulls. Rosie Darrah returned from Switzerland on 9 January and was met by Ron and Jenny Lucas and Gaylene Lines. Rosie will be at our meeting next week to tell us about her adventures, before she heads down to study at Otago University. And Annie Grenfell left Wellington at 3.45 today for her exciting year ahead in Chile. The photo will appear next week. A big vote of thanks to Phillip and Janet Reidy for hosting the Inner Wheel Pizza and Plonk afternoon on 19 January. After a dismal start to the day, the weather came to the party too. Contributions to the Book Fair are arriving in bulk and Allan Nichols would appreciate some help. Please get in touch with him and offer yours. Next week, 29 January, Rick Hughes and Rachel Carr will be coming to talk to us about the challenges and opportunities for the Wellington Free Ambulance for 2019. For all future events, go to the Events page. Original generation time 1.2197 seconds. Cache Loaded in: 0.0176 seconds.